When you're shopping on a budget and want the best value, turn to our used Nissan dealership near Greenfield, IN. Our dealerships have your favorite make and model for less, so you can drive away happy in a like-new Honda Pilot, Toyota Camry or GMC Acadia. If you're in the market for a used SUV that boasts supreme versatility, consider purchasing a used Chevy Equinox. If you want a luxury sedan for an affordable rate, purchase a used Acura for alluring style. 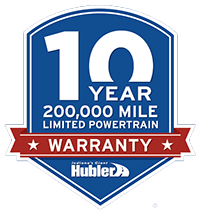 View our Certified Pre-Owned inventory before you visit us, since all of our CPO vehicles come with a 2-year/100,000-mile powertrain warranty at no extra cost to you. They even come Q-Certified, which means they've undergone a thorough 128-point inspection. At the Hubler Automotive Group, we make shopping on a budget fun, so visit us today to shop our inventory of over 2,500 pre-owned vehicles!